The Duke and Duchess of Cambridge are expecting their third child, Kensington Palace has announced. The Queen and both families are said to be delighted with the news. As with her previous two pregnancies, the duchess, 35, is suffering from hyperemesis gravidarum, or severe morning sickness. She will no longer carry out her planned engagement at the Hornsey Road Children's Centre in London today. Catherine is being cared for at Kensington Palace, the statement said. 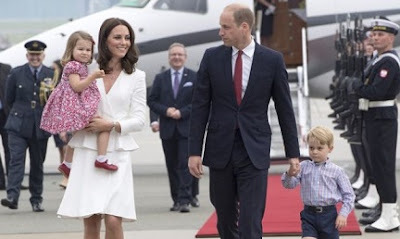 The Duke and Duchess have one son, George, and one daughter, Charlotte, aged four and two.